A 2 year relationship grows between small breweries. 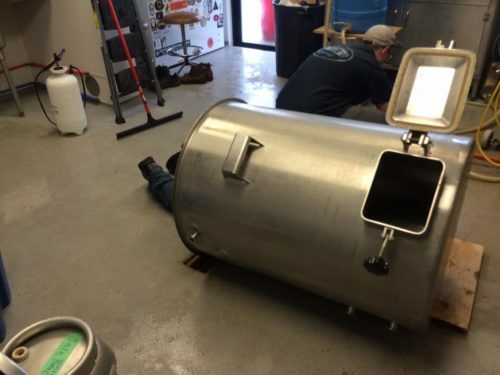 In February of 2017, a couple of homebrewers from Kansas City came to Newaygo with a couple bottles of homebrew and a dream of opening their own brewery back home. They spent a day in the brewhouse with us checking out our brew system, picking our brains, and lending us their muscles. 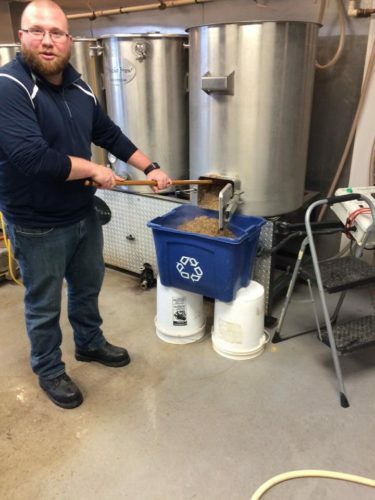 Fast forward to 2019 and Strange Days Brewing Co in Kansas City, Missouri has just celebrated their one-year anniversary and has cemented themselves as part of KC’s craft beer scene. Though, of course, their day in Newaygo didn’t make or break their foray into the world of professional brewing, it is a good reminder of the camaraderie and friendship that makes the craft beer scene so fun and unique. However, our relationship with Strange Days has not come to an end just yet. Thanks to the internet, I’ve followed along with the brewery’s progression, have kept in touch with the guys, and was even fortunate enough to get my hands on some of their beers: if you ever find yourself in Kansas City, do us both a favor and go buy some cans of their Channel Surfing IPA and bring back a few to share. 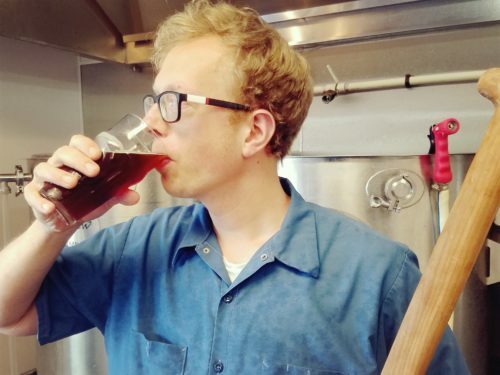 In chatting with one of their owners recently, picking their brains about water chemistry and recipe formulation, we decided it would be fun to brew a beer together again, but in their brewhouse this time. So, my wife and I are going to travel down to Kansas City in July and spend a day with the Strange Days fellas, brew a collaborative beer together, go watch the Tigers take on the Royals, and check out what else is happening in the Kansas City beer scene. It is times like this where I remember how fortunate I am to work in the industry I do. Not only do I get to experiment with unique ingredients, do my best to make delicious beverages, and get to drink at my place of employment, I also have the unique opportunity to build relationships with the other employees at Newaygo Brewing Co, the guests who come in and trust us with their hard earned money, but also other like-minded people brewing beer across the state and, apparently, across the country. Previous post New Brews on Tap! Next post New T-Shirts in stock!